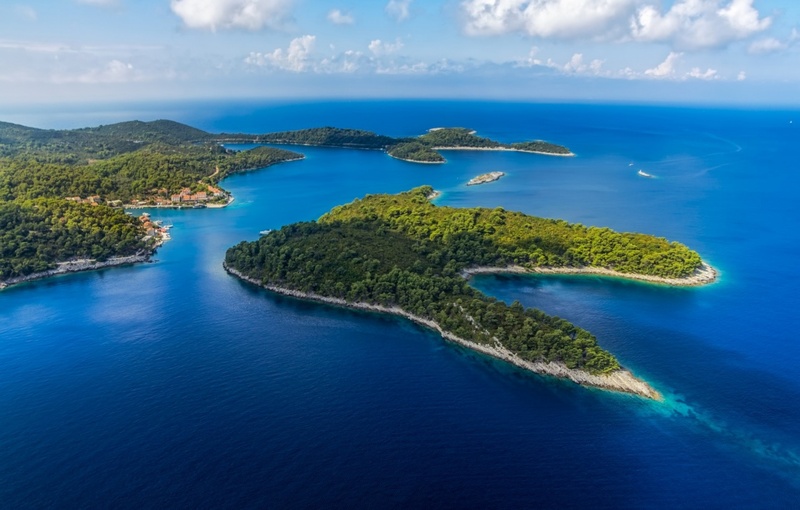 Mljet is one of the biggest, the greenest and according to many the most beautiful Croatian island. Situated in close proximity to Dubrovnik, Pelješac peninsula and the Island of Korčula; Mljet is one of the most beloved tourist destinations in Croatia throughout the year. Pleasant Mediterranean climate with mild winters and warm summers makes Mljet the ideal choice for summer vacation. 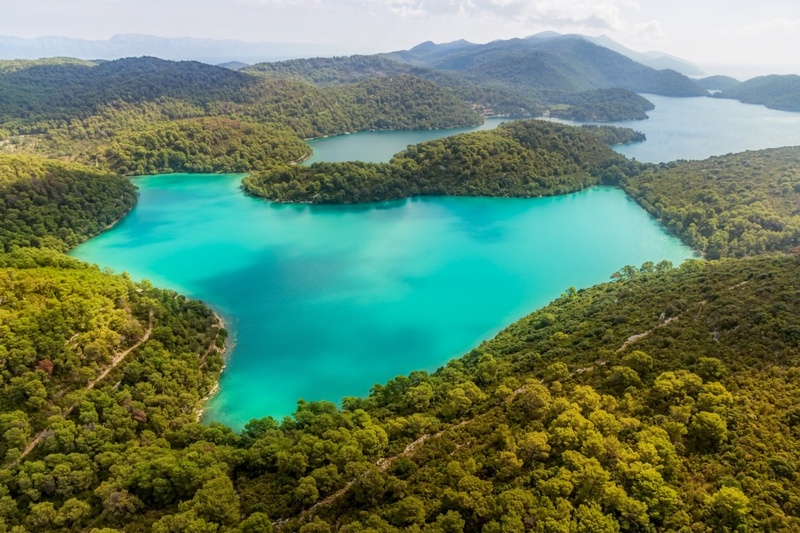 Breathtaking natural beauties, historical and cultural heritage with the clear blue sea, unforgettable scenery and the richness of flora and fauna are only some of the reasons why most of the Mljet visitors return to it repeatedly. 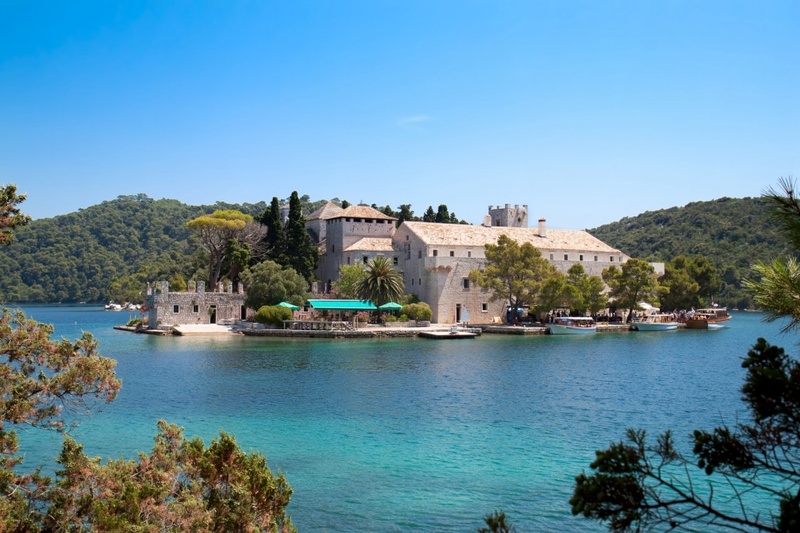 The rich and turbulent history of Mljet goes all the way to the ancient times. It has been fulfilled with mysterious legends, adventurous quests and pirate sieges alternating with periods of prosperity and peace. Illyrian tribes were the first known inhabitants of the island. It is believed that they arrived across from Pelješac peninsula approximately 4000 years ago. They gradually settled along the wellsprings of drinkable water, living in primitive accommodations as farmers and fishermen. Underwater findings of the Greek amphorae indicate that the Greek seafarers used Mljet as shelter from the storms and pirate attacks. Roman authority came to Mljet in the 2nd century before Christ. There are several monuments from that era to be seen in today’s Mljet: the governor’s mansion with the ancient baths and strong protective towers. There are also two early Christian basilicas from that period on the island. In the 12th century the Benedictines gained power over the whole island, encouraging the development of agriculture and literacy among the island’s Slavic population. They build an impressive monastery, preserved until the present day. In the 15th century Mljet became part of the Republic of Ragusa, sharing the destiny of Dubrovnik until present day. North-western part of the island was pronounced a national park in the 1960 due to its extraordinary cultural and historical heritage and heavenly natural beauties. Well indented coast hides countless caves, cliffs, rocks and isles; while thick pine wood hides ancient monuments. The island hosts several endemic, somewhat exotic plants and various animal species, Mediterranean Monk Seal being the most beloved visitor. Perhaps the most fascinating sight of the island is the system of salty lakes; The Great and the Small Lake. They are connected with the sea by a narrow channel. In the middle of the Great Lake is an Isle of St. Mary with the Benedictine monastery from 12th century. There are numerous other attractions, including the Ulysses’ Cave, a system of lakes filled with brackish water and the indigenous evergreen forests. Famous oceanography expert Jacques Cousteau claimed the sea around Mljet to be among the purest waters in the world. Mljet is rather easy to reach through regular boat lines (ferry or hydrofoil) from Dubrovnik, Pelješac and other Dalmatian harbours. Once you land to Mljet, there are busses driving to and from the national park. If you are interested in staying a little bit longer, there is one hotel on the island, Odisej, in the small port Pomena; with numerous private apartments and a campsite. During your stay on Mljet you can enjoy unseen natural beauties and numerous cultural attractions. If you are in search of a more active vacation, besides swimming and diving; you can go hiking, mountain biking, sailing, fishing or caving. In the evenings you can visit one of the island’s restaurants and enjoy in some of the meals from the rich gastronomic offer. The most praised is the restaurant on the Isle of St. Mary in the middle of the Great Lake. There you can taste some of the local signature fish or game dishes and quality wines of the Mljet vineyards.